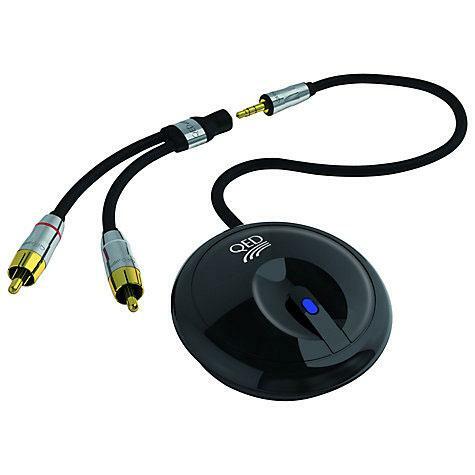 The uPlay Bluetooth® receiver from QED LIVE, is ultra-simple to use and incorporates aptX™ technology for ultimate Bluetooth® sound quality. Using uPlay, you can use your mobile device to remotely control the music from your hi-fi system or other audio device with a stereo or line input. Boasting a range of up to 10m (depending on surroundings and angle) you can effortlessly navigate and select your favourite music from the comfort of your chair!